"I’m recalling the unhappy period that goes from 1890 to 1910. Those were the years of my youth and my maturity, years of materialism and aggressive and triumphant skepticism, dominated by the figure of Renan. How many efforts then to obscure Christ’s divinity, to veil that face that perturbs, to denigrate the Christianity, to erase its outlines under the bands woven by the erudition and the doubt. The Gospel was broken to incoherent and suspicious pieces and each amateur went to find out the elements of a construction as pretentious as provisional. Jesus’s figure was made to disappear in a mist of historical, mystagogic and romanticized literature. Jesus Christ was no more than a pale drawing, some fluid features, ready to fade away. Maria of Magdala could go to the sepulchre; they had taken away from her Lord. "And here after so many centuries the forgotten image reappears suddenly on the Shroud’s fabric with a terrible truthfulness, with the authenticity not only of an irrefutable document, but of a present fact. The nineteen centuries interval is suddenly erased; the past is transferred to the present. "What our eyes have seen", St. John told, "what we contemplated, what our hands touched of the Verb of life". It is not only an official piece, like it could be, for example, an oral process, an outline of account propery signed and initialed; it is a transfer, it is an image that carries in itself its own guarantee. More than an image, it’s a presence. More than a presence, it’s a photograph, something printed and indelible. More than a photograph, it’s a negative, that is a hidden activity (a little bit like the Holy Writings, I mean) able to realize in positive an evidence through the lens. Suddenly, in 1898, after Strauss, after Renan, at the same time of Loisey, and like crowning achievement of a prodigious work of excavations and exegesis, led for a whole century, here we have the photograph of Jesus. It’s amazing! "It’s Him! It’s his face! This face that so many prophets and so many saints were passionately longing to contemplate according to the expression of the psalm: "My face has looked for you: oh Lord, I will seek your face", it is at our sight! In this way it is possible for us to contemplate until we want the Son of God face to face, since a photograph is not a portrait manually made. Between this face and us there is no human intermediary. It’s Him that has materially impressed this plate; and it’s this plate that in its turn takes possession of our soul. "There is in these closed eyes and in this figure like a manifestation of eternity, like something that fills us with fear. Like a hit of sword to the heart gives us the death, so this figure makes us conscious of ourselves. It’s something so awful and wonderful at the same time that we couldn’t escape unless we don’t put ourselves in adoration. "Who could deny that between the risen in 1898 and the character of which the four Gospels report facts and discourses, there is the same incontestable correspondence? This statement is rightly more substantial. The written document and the graphic document correspond with each other. They even identify themselves perfectly. We notice that all the artistic interpretations of this original, that is in front of us, have a partial and defective value, sincere until one wants, but such to be considered like second-hand works. Leonardo da Vinci, Durer and Rembrandt’s Christ agree with some parts of the Gospel, but the Shroud’s Christ agrees with everyone. What more, he surpasses them"(1). This event could have been included among the pious legends or the edifying histories if it were not for the photographic documentation; regular notarial deed and the confirmation of other amateur photographs. Certainly these identical results did not support a consensus, above all because it could seem out of the ordinary, that our Lord had left us his portrait, at so great a distance of time. But if he existed in the flesh like us, this falls within a normalcy determined by physical laws that it’s up to us to discover and appraise. The event instead was at the same time discovery and demonstration, that merge in only one word: evidence! And against evidence one could not go, unless to deny reality. The focal point of the demonstration was expounded in short and simple words by the leading actor of the unexpected discovery; the Lawyer Secondo Pia. Pia was the fortunate photographer that took the first photograph of the Shroud, on May 28, 1898 night, at 21.30. His Memory is integrally quoted in my previous article (2). The conclusion was only one: "If the figure that appears on the plate, that is, on the negative, is a perfect positive, it means that the imprint on the Sheet is a likewise perfect negative, similar to the photographic one, since the inversion of the light and shade occurs in an impeccable way through the action of light and chemical substances." The photograph gave therefore the certainty that the Shroud is not a manual work, but the result of a process, favoured by very exceptional circumstances, around which the researchers still investigate to give an answer that completely satisfy our curiosity. To make us live again the milieu and the climate of those days, the mentality of the times, the impressions about the unexpected result of the photographic shooting, the reactions of the press and of the public opinion, the first circumstances of the polemic that from time to time became inflamed again, an esteemed volume, that carries the signature of a well-known journalist, John Walsh, was published in 1963 (3). The book required four years of hard study and work. The result was without doubt equal to the diligence, and the skilled pen of a special correspondent. This individual came from America to meet various people that had been in touch with the main protagonists of the great event, to visit places, to photograph documents, and to record interviews. This is presented in dense chapters, that could be defined as authentic portraits of men and things, the development and the evolving of the polemic that has impassioned believers and non believers at the end and at the beginning of the century. In the foreground, the figure of the modest photographer, the Lawyer Pia. 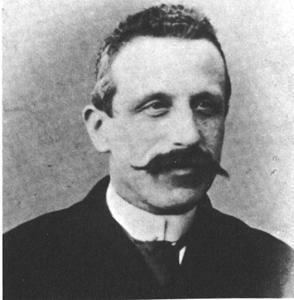 Then the young professor Paul Vignon, an enthusiastic defender of the authenticity, encouraged by the free-thinker Yves Delage. Then two tenacious opponents, the English Jesuit Father Herbert Thurston, and the French historian, the Abbot Ulysse Chevalier. The description of the session on April 21, 1902 at the Academy of Sciences in Paris, during which the report of the researchers realized by Vignon was presented by Delage himself. 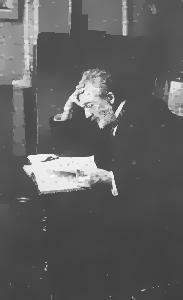 It is of an actuality that makes one relive the solemn moments of those affirmations pronounced by one that didn't believe in Christ, but that remained "faithful to the true scientific spirit, worried only about the truth, without taking care if this would be convenient for this or that religious party", like he himself declared in an article that appeared later in "Revue Scientifique" on May 31, 1902. "-Should I talk about, Delage continued, the identification of the person, whose image appears on the Shroud?, he asked. "He didn’t wait for an answer. Deeply aware of what he was about to say, the question was a way to penetrate in a difficult ground, trying to attenuate the blow with the name of Jesus. "-The truth, he continued, could be reached in two different ways. On one hand, the Shroud clearly shows that the victim was crucified, scourged, struck in the heart and crowned with thorns. On the other hand, there is the history of Christ’s passion that talks likewise clearly about a man that has suffered those atrocious tortures. Now, isn’t it natural to join these two parallel stories and report them to be of the same subject? "-Let me add that, so that the formed image then was not destroyed, it was necessary that the body remain in the Shroud at least twenty-four hours, necessary time for the formation of the image itself, and not more than some days, afterward the putrefaction would have begun the destruction of the imprint and later on the sheet itself. "- A tradition, more or less apocryphal, I should say, assures us that this is precisely what happened to Christ: on Friday he died and disappeared on Sunday. And then the favorable and unfavorable after-effects of the newspapers about the "discovery" or the "lie"; all presented with an immediacy that tastes of actuality, like always the polemics about Christ are of actuality, to whom all the polemics about the Turinese Sheet after all refer. (1) "Toi qui es-tu?," Paris, 1936, p. 11-15. (3) "The Shroud", New York, 1963, translated into German two years later: "Das Linnen," Frankfurt am Mein, 1965; but unfortunately not into Italian. (4) "The Shroud", New York, 1963, p. 100-101.